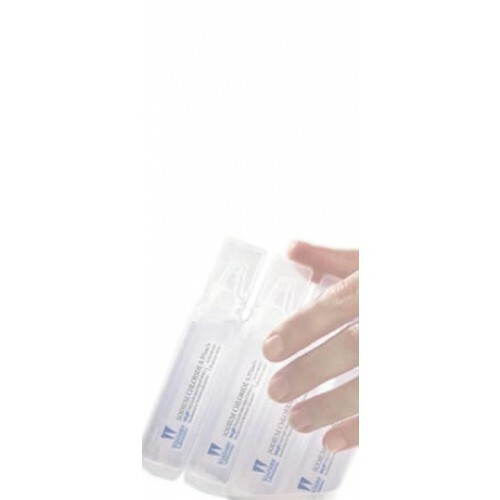 Sal Jet, Normal Saline, Sterile Saline Solution, BUY, 64938000901, 64938-010-12. Sal Jet Saline Solutions, manufactured by Winchester Laboratories, are Normal Saline solutions designed for wound irrigation. The unit dose packing makes these Sterile Saline Solutions more practical than using syringes and large bottles of saline. Sal Jet Normal Saline is perfect for moistening dressings, rinsing wounds, and devices. The small packaging allows you to use a new unit for each application. Discard unused solution after a unit is opened. Great inexpensive product and received in a timely manner. The individual packaging is convenient. I like the Saljet brand of saline more than the others.